Whether you have been attending church your whole life or are just beginning to explore the idea of faith for the first time, you will find a welcome here. We are not a perfect church because we are not perfect people. However, we are a very diverse group of people with one thing in common, we want to learn more about Jesus and seek to follow Him together. As we follow Him, we want to make a difference in this beautiful city in which we live. We hope you will come and visit us soon! Our Sunday Service lasts from 11am-12:30pm. Occasionally, we go slightly longer. We serve a FREE FULL lunch EVERY Sunday! We are casual and contemporary. Dress as you feel most comfortable. We sing a combination of contemporary songs and traditional hymns. Our Music Worship is led by our church band. We have great programs for children of all ages. Check out our Children’s Ministry! You can sit wherever you feel most comfortable in the Sanctuary. We also have an infant room for newborns and infants. 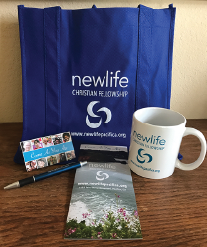 As a first time guest, you will receive a visitor bag. about our church and all of our ministries.